Springhill works closely with Monsignor Vincent Harvey and Father Ross Bullock, from our local parish, and Deacon Andy Philpott. Each year group has a pastoral advisor who makes regular visits to discuss Scripture and how, as Christians, we respond. St Joseph’s and St Edmund’s is our local parish and we make visits to St Edmund’s Church as part of their R.E. curriculum and also celebrate Mass with the community. On the feast day of St Peter and St Paul (29th June) every year, the whole school celebrates Mass together in the church. In addition to this parish, we also have strong links with the parishes of St Boniface and Immaculate Conception and both Fr David Sillince and Fr Antony Gatt. These priests contribute to chaplaincy meetings and provide worship and celebrations for us, in addition to supporting our RE curriculum. 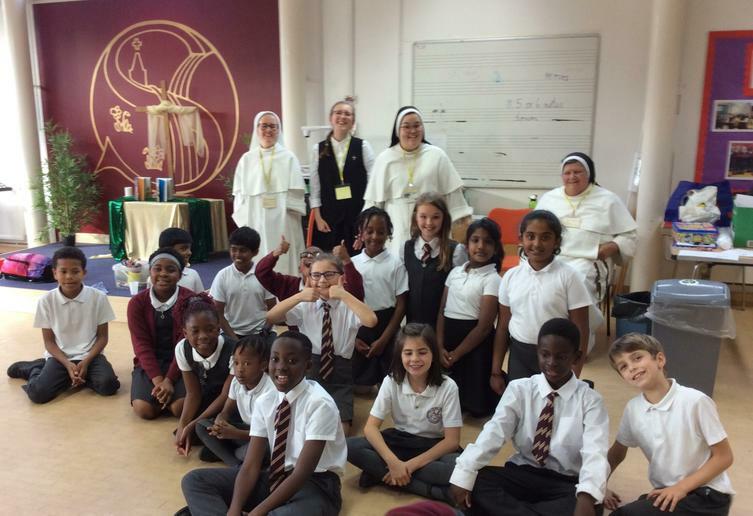 The Dominican sisters from Sway, who run a weekly club 'Fanning the Flame', provide further support in developing the children's relationship with God, through prayer and song.